Behold the Arthropods. They are invertebrates with exoskeletons, segmented bodies and jointed appendages (examples: insects, arachnids, crustaceans). Exquisitely versatile and adaptable, they comprise the most species-rich phylum and they’ve been around since at least the early Cambrian Period (541-485.4 million years ago, (Mya)). Look where you’re standing. Chances are that an athropod’s already been there and moved on. In this week’s Seminar Series installment we will hear from Dr. Nicolas Strausfeld whose pioneering work grapples with the enormous systematics challenge of reconstructing the evolutionary history and taxanomic connections within the Arthropod group. Dr. Strausfeld and his group investigate and infer phylogenetic relationships through analyses and comparisons of brain architectures, a method developed in his lab (a.k.a. neural cladistics). This method has greatly contributed to the molecular and morphological phylogenetic toolkit because neural architectures are highly conserved within related groups. Thus, relationships between taxa can be inferred through evaluation of the presence/absence of defined neural structures and with the aid of computational tools. These studies lend tremendous insight into whether neural arrangments in existing animals are novel or ancestral and reveal the story of how brain structures have evolved – or not if structures have proven adaptable – through time. Dorsoventrally flattened Fuxianhuia protensa from the Chengjiang Lagerstatte. Dorsal view of complete specimen, YKLP (Yunnan Key Laboratory for Paleobiology) 11321. One of the problems limiting neural cladistics is that fossilized arthropods rarely preserve neural tissue. 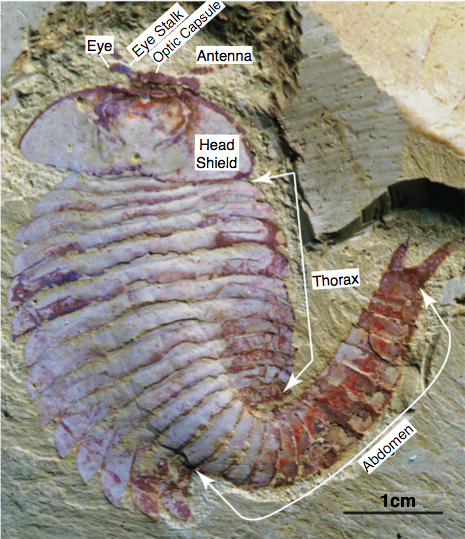 However, recently Dr. Strasfeld’s group characterized Fuxianhuia protensa, a stem-group arthropod with exceptional brain and internal organ preservation.These studies were done from ~50 specimen at the Yunnan Key Laboratory for Paleoneurobiology (YKLP) in the Yunnan Province, Southwest China. 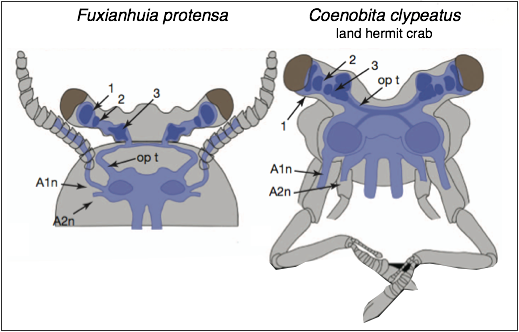 Remarkably, Fuxianhuia shares brain organization features with many existing arthropods, including malacostracans (one of the six classes of crustaceans) and insects. These findings clarify long-disputed phylogenetic relationships and suggest that the sophisticated brains of extant arthropods had an early origin. This is consistent with the idea that the compound eyes supporting these resilient nervous systems have also retained much of their structure and resolution throughout this great expanse of geologic time. Is your scientific appetite whetted yet? 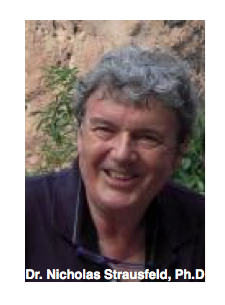 Then come to the center for neural circuits and behavior this Tuesday April 2, 2013 at 4pm to learn more from Dr. Strausfeld’s himself. Wilmer Del Cid is a first year graduate student in the UCSD Neuroscience Program. In the spring he will rotate in the lab of Dr. Ulrich Mueller where he will study the development of the cortex.